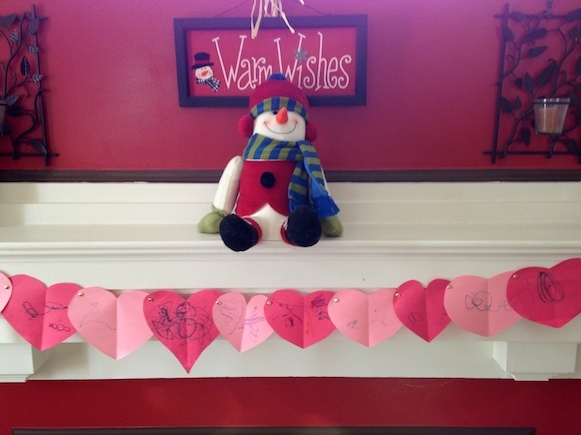 After a week of being stuck inside with colds, we needed to do some happy Valentine's Day decorating. I thought our mantle was the best place to start, and since my boys are really into drawing with markers right now, this was the perfect easy craft for us to try. 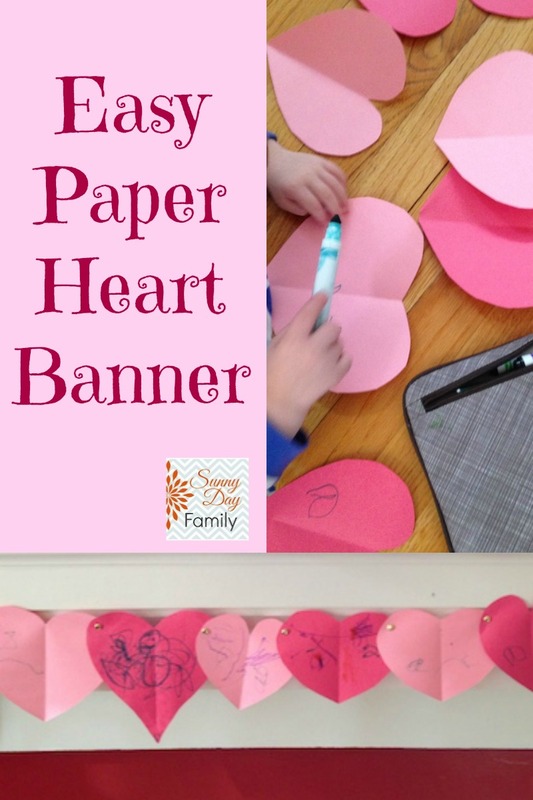 This craft would also work great in a playgroup or preschool setting, as each kid can decorate their own heart. 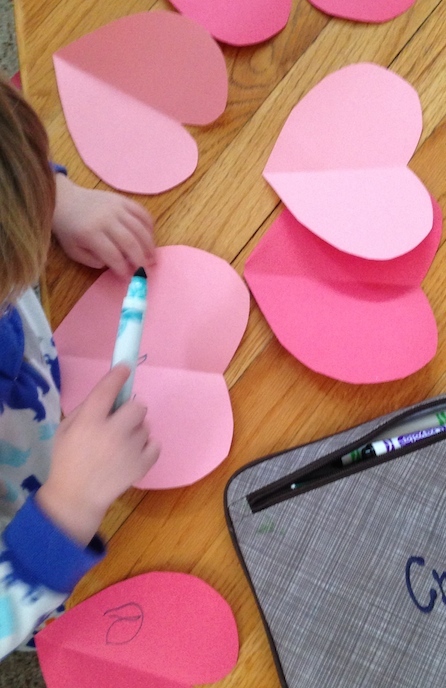 All you need for this craft is red & pink construction paper, markers/crayons/paint - whatever you want to decorate your hearts, and paper fasteners. 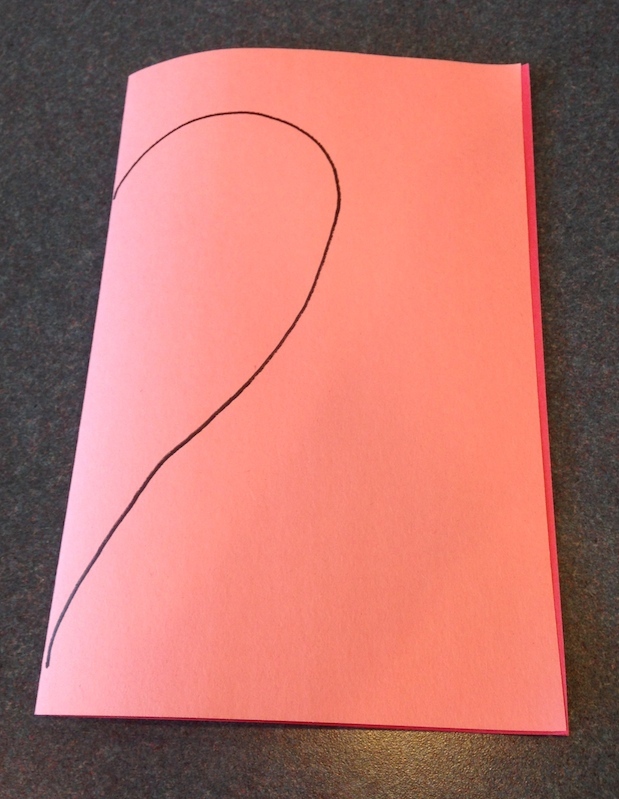 Start by cutting out large hearts from red & pink construction paper. I make hearts like I learned as a kid myself - by folding lengthwise, drawing half a heart, cutting it out, and unfolding. You can make as many as you'd like for the length of your banner. I did 12 total for my mantle (6 of each color). 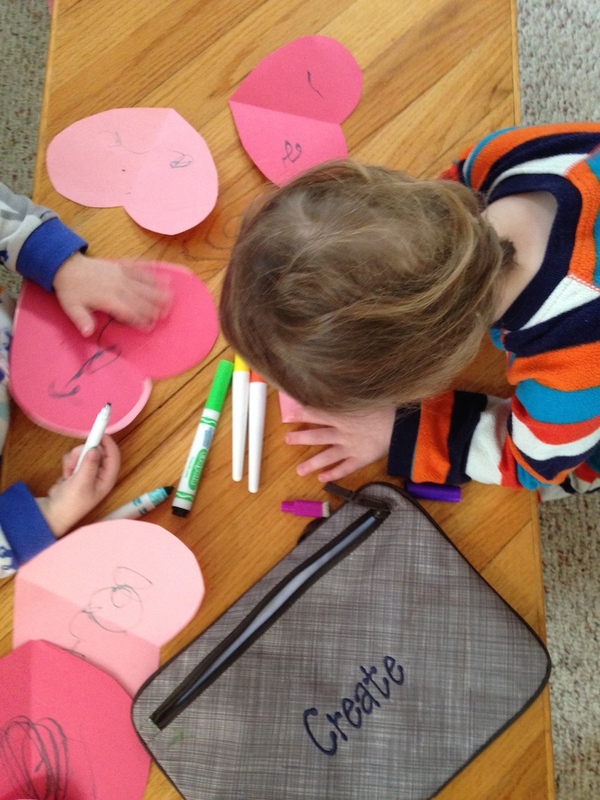 Then let the kids go crazy decorating their hearts. My boys love coloring with markers right now, so that's what they wanted to do. You can do painting, crayons, glitter and glue - be creative! 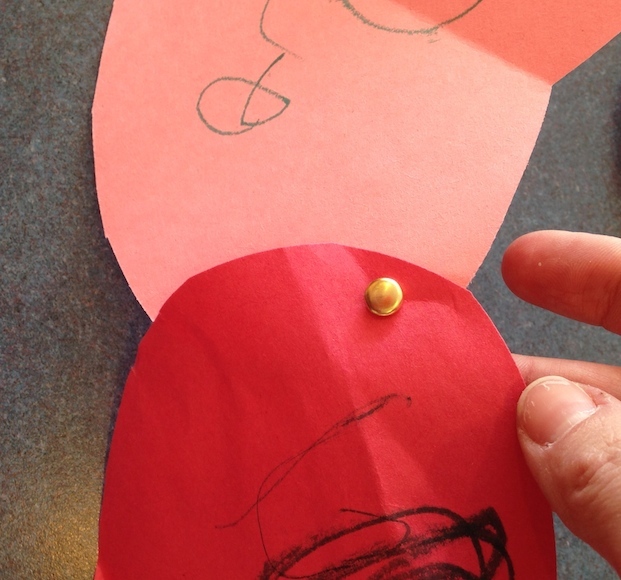 Once all your hearts are decorated, secure them together with the paper fasteners. I alternated red and pink. That's it! Your banner is ready to hang. I used clear command strips to hang mine but you can use tape as well. Our snowman looks much happier now and ready for Valentine's Day! This was a really simple and customizable craft that is a lot of fun for kids of all ages. We had a great time putting it together and now we're ready for Valentine's Day! Do you have a lot of craft supplies? Check out my Complete Craft Storage Solution! The banner turned out very cute!